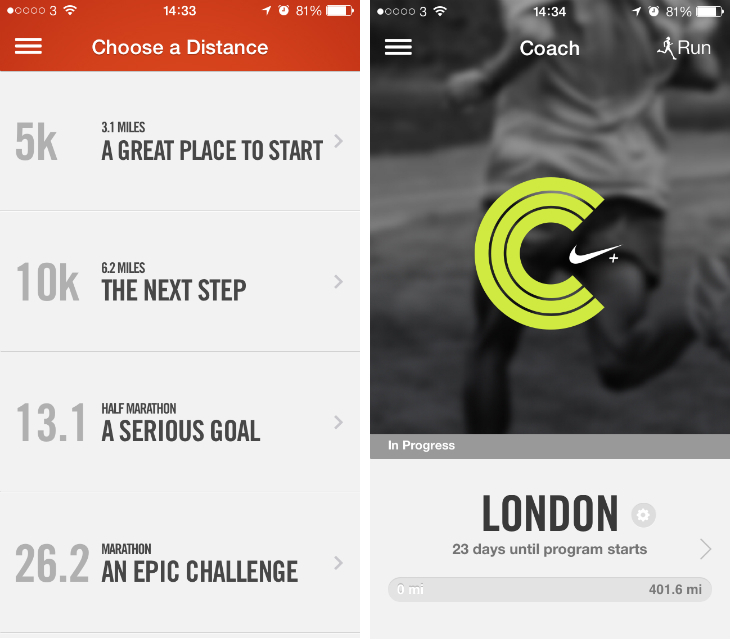 Nike updated its Nike+ Running app for iOS devices today with a new scheduling feature called Coach, which helps you to create a personalized training program and work towards your next big race. 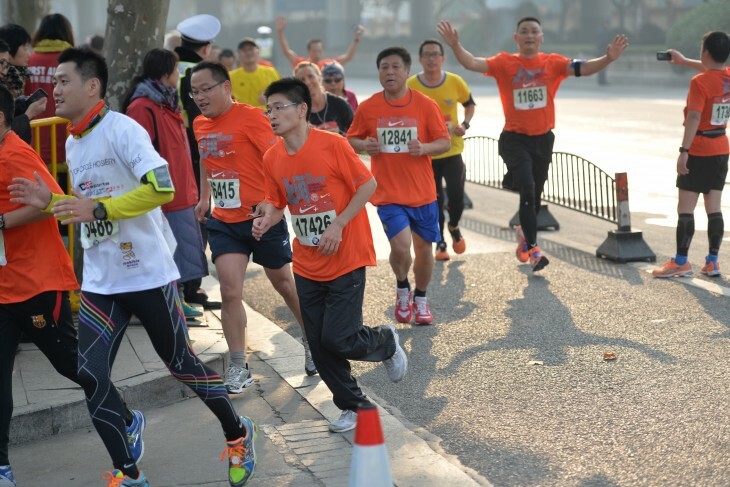 Available from the navigation menu, you can now set up the app to help you complete a 5km, 10km, half marathon or full marathon in record time. Nike’s new Coach feature offers three levels of intensity – Beginner, Intermediate and Advanced – which takes into account your previous performances and your personal best for the desired distance. Once you select a program and specify the race date, the Nike+ Running app will give you timely reminders whenever you next need to head out for a run. The Coach area of the app can then be used to monitor your progress and look up what you’re expected to do in the days ahead.